Would you humor me for a moment? Would you imagine yourself as a coach awakening in the morning about an hour earlier than you normally do. You have a complimentary coaching session with a potential client, and you’re a bundle of excitement and nerves. You jump in the shower, shave, get dressed, and have a cup of coffee. You look at the clock and you’re about 20 minutes ahead of schedule, but you decide that you’ll leave now just in case there happens to be traffic. Surprisingly, you breeze through traffic with nearly a half hour to spare, so you drop by a convenience store to purchase some breathmints to give you an extra dose of confidence. You’re still about 15 minutes early when you walk out of the store, but you decide to head in to the coffee shop to await your appointment anyway. You find a comfy table, buy an iced tea (just so you’re not using the place for a free meeting), take out your notebook and pen, and place it on the table. You look down at the clock on your phone, and you notice it’s 9:02 am. Your appointment is for 9. No big deal though. You’ll wait. You try to keep an eye on the door to ensure they don’t walk in and miss seeing you. The door opens a few times…no just a couple of people leaving and an old lady walking in. Isn’t that a disappointing, frustrating scenario? What’s frustrating to me is that the no-show was likely avoidable. The problem wasn’t scheduling or the calendar app on the individual’s phone. The problem was the complimentary session was forgettable. It was forgettable, because there was no value for the appointment to begin with. The things people value, they will remember and show up for. Did I say this was avoidable? Yes, I did. So, this week let me show you the first way that you’re going to eliminate re-schedules, no-shows, and cancellations for your complimentary session. It all starts with how you build the value of your complimentary session. When I’m setting up a complimentary session, I want them to know that they’re getting something huge. They’re getting something significant from me. This is not just any old appointment that they’ve ever had before. Nothing downgrades what you do as a coach more than setting up “chats” with people. It’s a terrible phraseology for coaches to use, yet they do it all the time. Your time is your product, and if your time is valuable, then why would you give it away for a chat? We have to understand that when we say things like “chat,” it’s taken so casually, that a potential client really doesn’t take us seriously. I understand, especially in western culture, we like the informality of the word, and maybe we like the noncommittal nature of the way “chat sounds,” but the truth of the matter is, you don’t have time for a coffee chat. The potential client doesn’t have time for a coffee chat. That’s why we don’t use those words. When you use language that is nonspecific and non-committal, how do you expect people to respond? That is why chats get cancelled, because there’s no perceived value of the meeting. This is the difference between the coaches who thrive and those coaches who arrive for appointments 20 minutes early that get a no-show text. Coaches who thrive are coaches who aren’t afraid of scaring a potential client away by making the appointment a little more formal than a coffee chat. 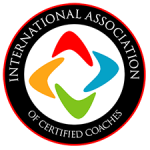 Coaches who thrive have the respect of potential clients who recognize their value and know, to sit down with you, is to seriously investigate whether or not you can help them get to their solution. Here’s an example: if you were looking for a new doctor, would you call a prospective doctor up and say, “Hey, I’d like to I’d like to set up a coffee chat to see what it would look like if I became your patient”? Of course not. Nobody ever does that, and there’s a really good reason why: it’s because we view doctors as incredibly important, incredibly busy people. We value what they do, so you’d never set up a coffee chat to talk about becoming a patient with a doctor, because you realize they’re important. They have a lot of skills. They’re taking away from their business, from their other patients, and we have a mutual understanding that a doctor’s time is a doctor’s money. You’ve got to think of yourself in the exact same way. Your only product is your time. You’re getting paid for your skills, of course, but your real product is the timeframe that you spend in front of a client. You’ve got to think like a businessperson. Do not sell yourself short, and do not talk about what you do as a chat. No one is interested in “talking about coaching.” No one even knows what coaching is. If a coach wants to talk to them “about coaching,” then why do they need to setup an appointment? Couldn’t they just tell them what they need to know right then and there? Again, this is where the choice of words for many coaches gets them in trouble. You can’t sell coaching. You can’t tell people what coaching is. Coaching really is an experience, and the complimentary session is a convincing demonstration of what coaching can do for a person. I’d like to give you a powerful experience of coaching that can be a gamechanger for you. Doesn’t that sound a lot more interesting than a chat? Doesn’t that have some umph? No one wants to talk about coaching; I can assure you. But, when you answer the “What’s in it for me?” question, you’ll have some curious, genuinely interested potential clients. Rule #3: Let them know your time is scarce. I know what it feels like to start out as a coach. You don’t have any clients, and you simply want to be as accommodating as possible in order to get a potential client in front of you. What is communicated in those two sentences? Your time is more valuable than mine. Why would a coach have so much time on their hands? Why would a coach – who gets paid big money for their time – devalue their time by putting it the hands of another human being to toy with their schedule? This is why it’s not a big deal to someone to re-schedule this appointment. After all, the potential client is a really busy individual, and, apparently, re-scheduling isn’t a problem for the coach, because they have nothing else going on. The simple answer to this is to not be so outrageously flexible, and, instead, schedule a time that meets both of your needs. You’re giving them a cue as to what partnership actually looks like. Yes, my time is valuable. Yes, YOU matter, and YOU are valuable. You’re offering a solution, and the potential client will either jump on it and say, “Yes,” or request another time. Scarcity always builds the value of any product or service. When a potential client knows your time is scarce and that you value it, they will be hesitant to cancel or no-show. They will value your time to the degree that you value your own time. These are ways that we build value for the complimentary session. Next week, we’ll begin learning the 4 pre-qualifying questions that will only let the right people in the door for your complimentary sessions.